Maybe your child doesn’t yet meet the height requirement for Flight of Passage. Maybe they have tried the sample seat and are nervous about how it feels. Maybe they’re not big thrill ride fans. Maybe you know that although some of your party is okay with waiting in long lines, the rest of your party won’t handle the length of time in line. Whatever the reason, there are many kids (and more than a few adults!) who want to skip Flight of Passage at Disney’s Animal Kingdom while other people in their party ride it. 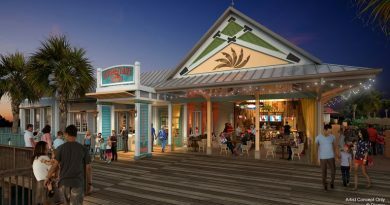 Although you could opt to wait in line with the rest of your party that wants to ride (and in the standby line, there are some neat things to see), that may not be the solution for everyone. At the same time, you don’t necessarily want to do “headliner attractions” that the rest of your party would also want to do with you. 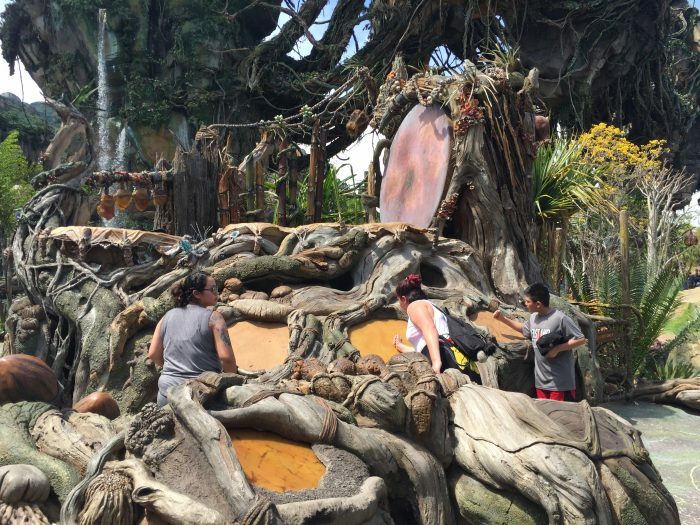 Here’s five activities you can do to burn some time while some of your party rides Flight of Passage to keep everyone having fun. Throughout Animal Kingdom, you have a lot of opportunities to see a wide variety of animals on various themed walking trails. 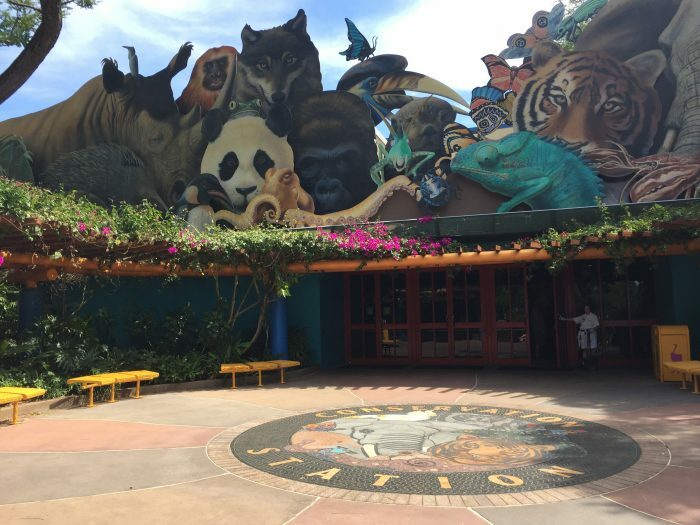 As you come into the park, there are animal habitats in the Oasis area, and there are animals along walking trails in the area of the Tree of Life, but the best walking trails by far are the Gorilla Falls Exploration Trail in Africa and the Maharajah Jungle Trek in Asia. Not only are there animals to see, but there are exhibits to explore and guides who can share information all about the animals that you see. Kids always seem to have an endless source of energy…until that moment when they run out of steam. 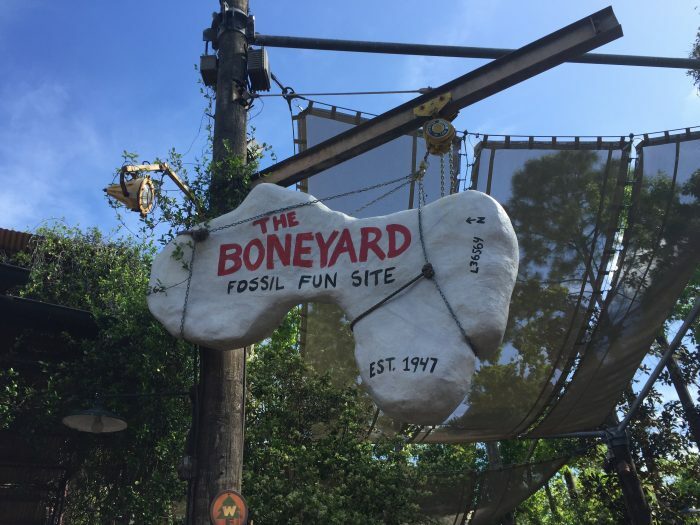 If your child is in the energetic part of the day, the Boneyard in Dinoland USA is a great option for them. Once you enter this playground area, you have two types of play spaces–one that is a more traditional playground with slides, caves to explore, and dinosaur footprints that make roaring noises and the other that is a giant “sand” (think small gravel that is easier to brush off when they’re done) pit to dig for a dinosaur skeleton. Depending on your child, you may not have them willing to leave even when you think it is time to go! If you need to take a break, just outside of the Boneyard is TriceraTop Spin–basically a Dumbo-like spinning ride with a dinosaur theme, and usually a much shorter wait than its Magic Kingdom counterpart. 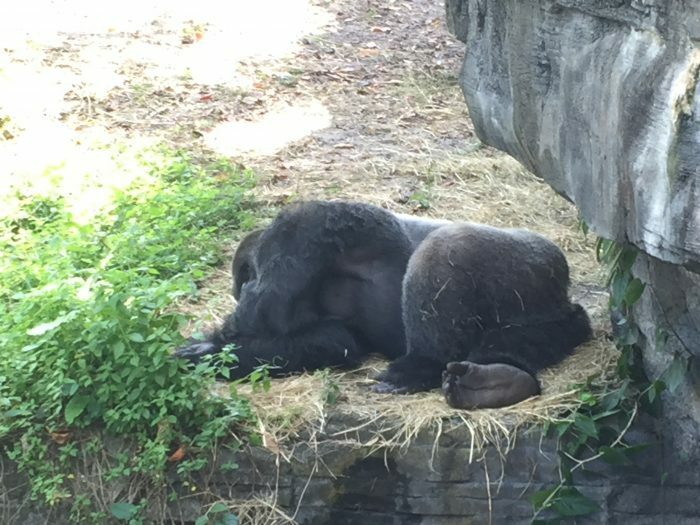 It is easy for this section of the park to be ignored by many, because it is one part of the park that you cannot walk to–it is only accessible by a short ride on the Wildlife Express train. If you’re looking for a place to spend time, this is a great option, however. There are animal exhibits, a petting zoo, animal feedings and shows about resident animals, a scavenger hunt, meet and greet with Rafiki, and much more. Even better, the main building is indoors and air conditioned, perfect for hot summer days. 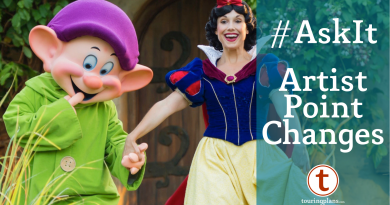 At first, it might seem odd that one of the best activities for kids at Animal Kingdom is based around a movie where the main star is a grumpy, walker-wielding senior citizen, but the Wilderness Explorer program from the movie Up is a perfect match for the theme of Animal Kingdom. When you enter the park, as you are headed out from the Oasis down to the Tree of Life, on the right side you will see the introductory station for the Wilderness Explorers. Stop by, learn your secret Wilderness Explorer salute, and get a field book. 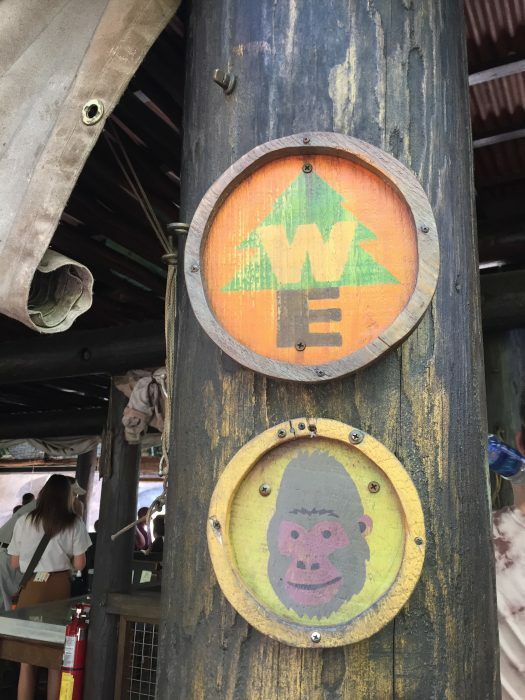 Throughout Animal Kingdom, you can complete short (5 minutes or so) activities to earn sticker merit badges. These do not have to be completed in any order, so they are a perfect activity to flex in at any time. There’s even a couple in Pandora that you can do right after your party gets in line. Just look for the Wilderness Explorer sign or for people dressed as Wilderness Explorers. For its relatively small footprint, Pandora is an incredibly immersive land in Animal Kingdom, with a lot to see. From the jaw-dropping waterfalls and floating mountains to a variety of exotic “plant” life from around the planet of Pandora, you can spend some time wandering around to take it all in. Make sure to look for the interactive spitting flowers–they are quite a bit of fun for all ages. If a member of your party is okay waiting in line, just not with the idea of riding Flight of Passage, the Nav’i River Journey boat ride is a short, but beautiful, all-ages ride through a nighttime Pandoran forest. Approximately once an hour, there’s a brief drum circle show near the entrance for the River Journey boat ride–when the show is not running, you can have fun banging on those drums to your heart’s content. The Windtraders gift shop may be mostly famous for being the place where you can adopt your own Banshee to take home, but there’s a lot of other things to see in there, including a life-size bust of a Pandoran native. Although it would be a challenge to find hours upon hours of things to explore in Pandora without getting on a ride, it certainly is something you wouldn’t want to skip altogether. Got any other suggestions for things to do? Any of these a favorite with your children? Let me know in the comments. This post is very timely! Our youngest will be in a wheelchair and is not allowed to ride Flight of Passage (this trip). So, one of us will be doing something else with him while everyone else rides Flight of Passage. Trying to make it a FUN trip for everyone when he will be limited in what he CAN do. We’re going to try and get Fast Passes and/or use the Adult Ride Swap option. Thanks! Yes! Our exact same scenario! I think we will take the train to rafikis planet watch.